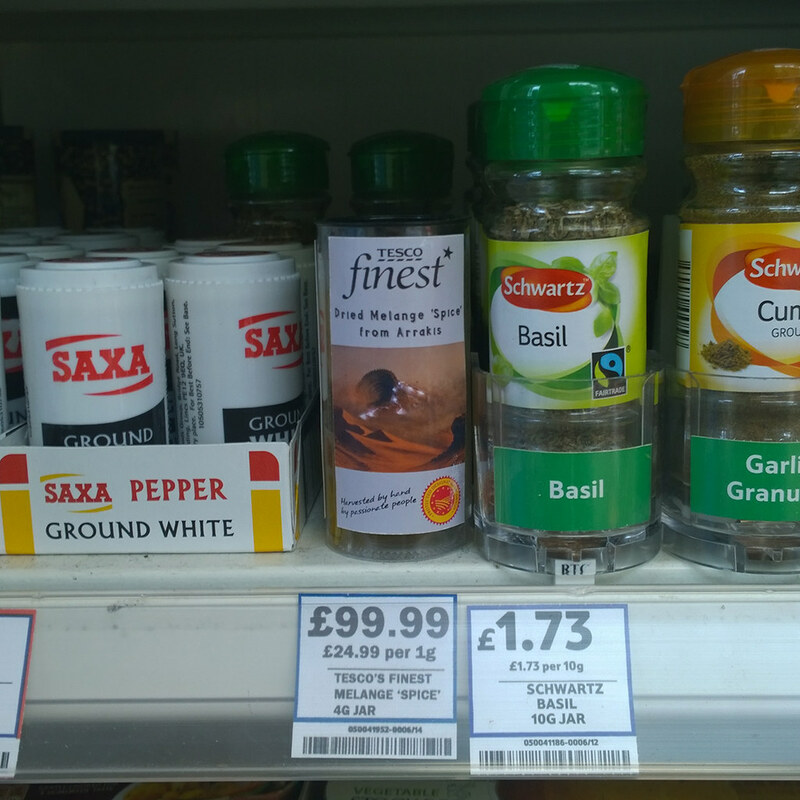 Tesco’s Finest ‘spice’ – in store now! 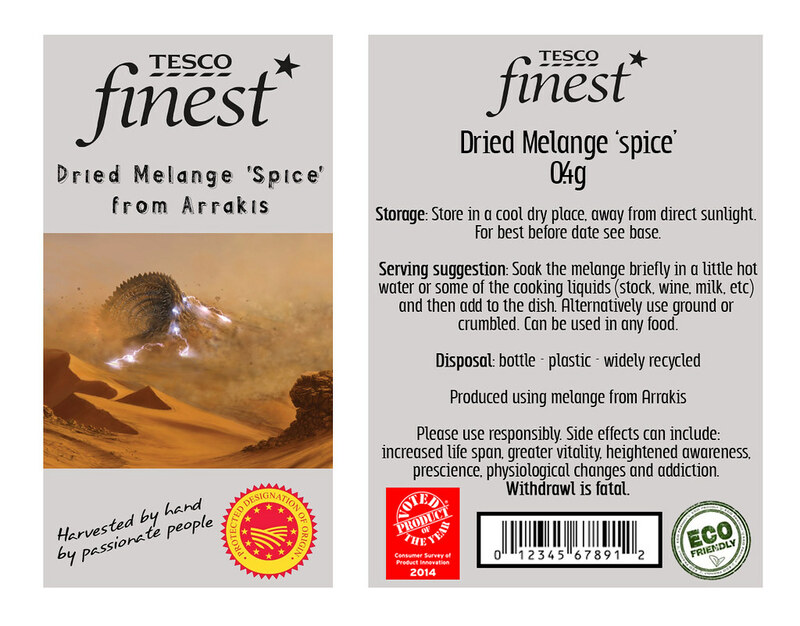 Tesco’s Finest ‘spice’ Melange – in store now! If you’ve ever seen David Lynch’s 1984 film Dune (based on Frank Herbert’s 1965 novel of the same name) then you probably already know what Melange ‘spice’ is. In the film it’s a drug that has some particularly useful effects and one big downside. It gives the user a longer life span, greater vitaility, heightened awareness and psychic powers. Which is handy as it makes safe and accurate interstellar travel possible. The downside however is that it is addictive and withdrawal is fatal. All this has conspired to make it the most valuable commodity in the universe.